Christmas can be a trying time, particularly for parents. Not only do you need to keep up to date with all the latest trends to made sure your kids don’t throw an unholy tantrum on Christmas morning, but you have to find a way to entertain them for two whole weeks whilst they’re off school! In the summer months, this is less of an issue, as it’s generally warm outside and you can comfortably get shot of them for a few hours by sending them to the park or around to a friend’s house. As winter descends, however, and the weather turns sour, you’ll be stuck with finding ways to keep the kids entertained without leaving the house. This can prove problematic. However, there is a solution that should keep them quiet for at least a couple of dark days and nights. With the follow-up to the monumentally successful Harry Potter prequel “Fantastic Beasts and Where to Find Them” hitting cinemas across the globe this month, your kids are probably all set to get climb back aboard the Hogwarts Express and rediscover their love of the franchise. This presents an opportunity for parents. There are 8 films in the franchise (9 if you count Fantastic Beasts) that are all available on DVD (it’s also rumoured they might be appearing on Netflix by the end of the year). Considering the sheer length of the films, that’s 19 hours and 40 minutes of entertainment. Split that up into 2 films per day, with a trip to the cinema on the fourth day to see the new film (The Crimes of Grindelwald) and you’ve got yourself covered for almost an entire working week! Of course, it would be easy to simply sit the kids in front of the TV with a bucket of popcorn and let the films to the work. Modern children are fickle creatures though and are quick to be tempted by distraction. If you really want to absorb their attention, make an event out of the movie marathon. Splurge on a few official Harry Potter gifts to make the living room feel like a legitimate Hogwarts dormitory. 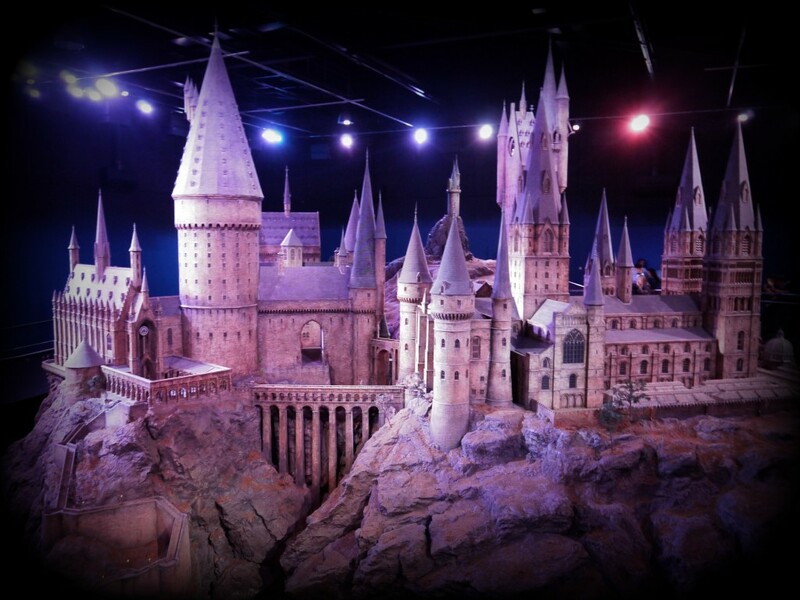 Given the success of the franchise, you’ll find everything from mugs and doormats, to vinyl figures and even magic wands. The room itself could also be given a makeshift makeover. Try decorating the fireplace with a few lanterns to mimic the haunting effect of the Grand Hall. Or, if you’re feeling particularly adventurous, why not go the extra mile and present your kids and their friends with their very own stuffed owls, capes and wands so they feel like real witches and wizards. The snacks will seal the deal. There are plenty of edible Harry Potter gifts available, of course (from chocolate frogs to Bertie Bott’s Every Flavour Beans), but they can be expensive. Instead, consider stirring up your own cauldron of goodies. You’ll be amazed by the wonders you can work with a plastic mould and a few melted chocolate bars.